Looking to faithfully reproduce the rustic garden walling of yesteryear? You can't do better than Natural Sandstone. 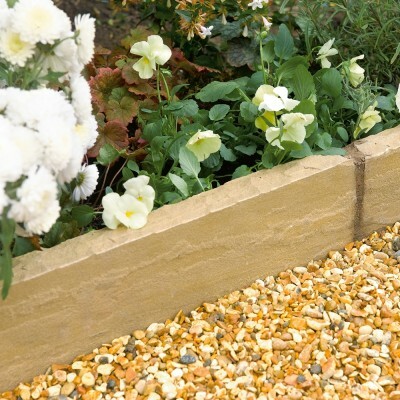 Available in three colours all designed to complement a traditional cottage style garden, Bradstone's rumbled Natural Sandstone provides soft edges and delicate natural shading. An attractive random finish can be achieved with the three sizes. Available in three colours and sizes. 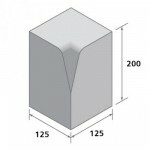 This product is supplied in full pack quantities containing 40 copings, which will top off a wall length of 18 metres. 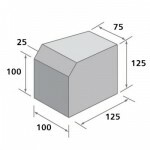 Please note that all dimensions include the recommended 10-15mm joint widths when fully pointed. 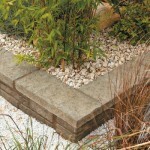 Be the first to review “Bradstone, Natural Sandstone Walling Autumn Green Coping / Edging, 450 x 160 x 40 - 40 Per Pack” Click here to cancel reply.